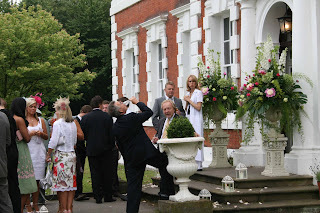 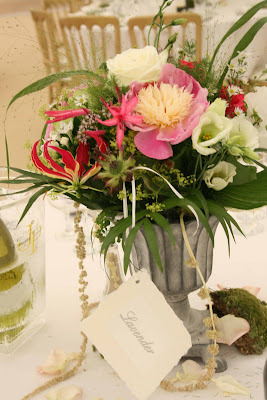 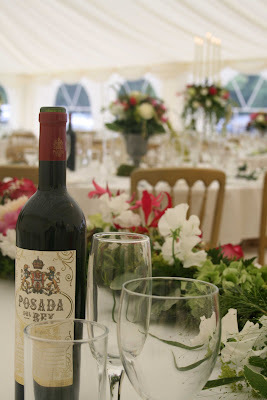 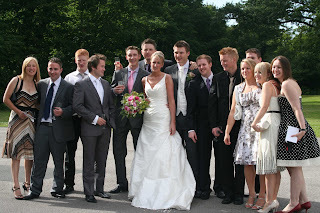 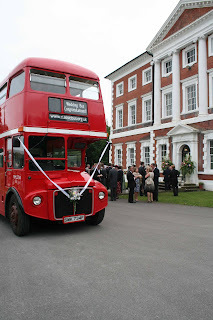 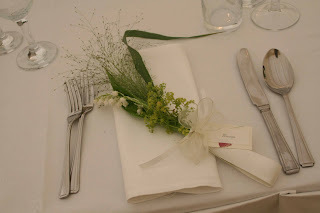 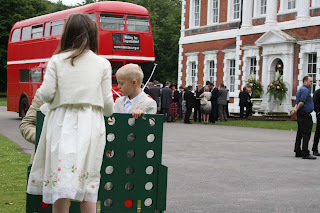 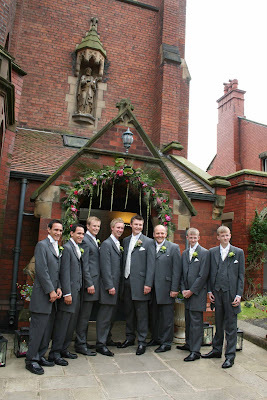 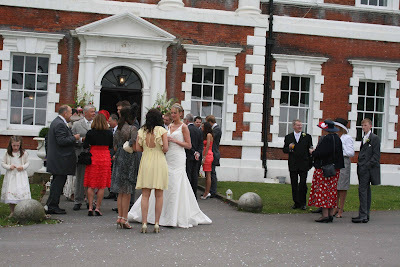 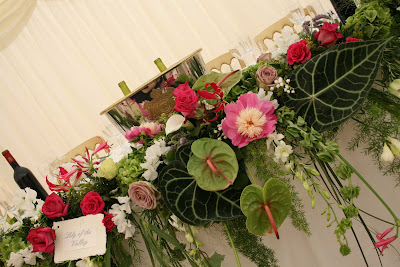 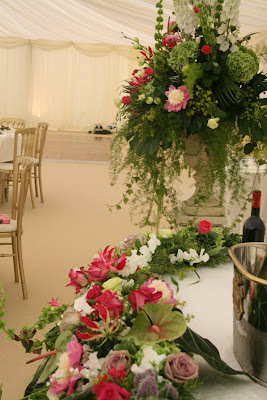 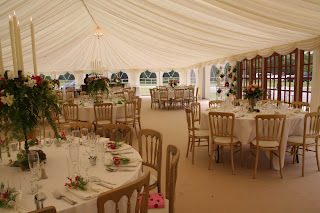 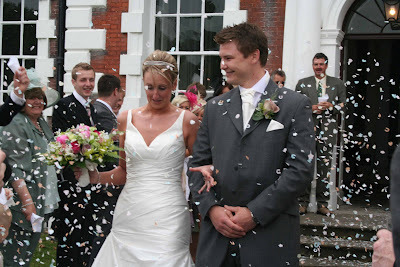 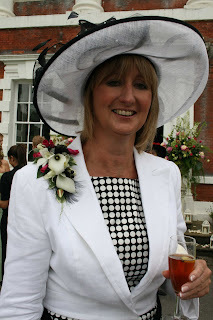 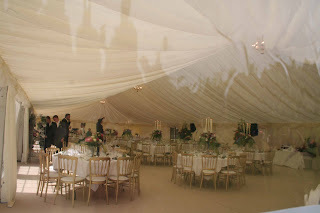 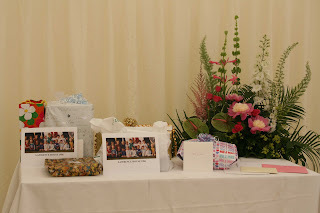 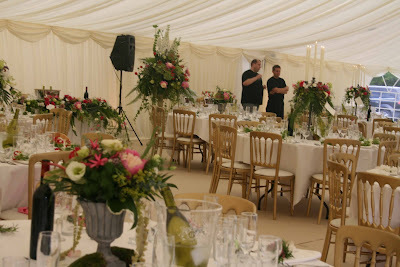 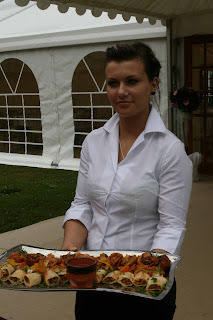 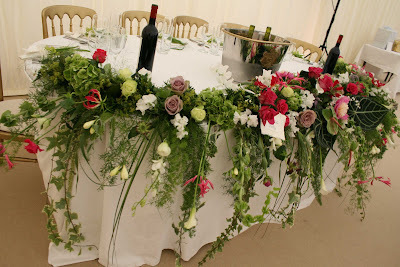 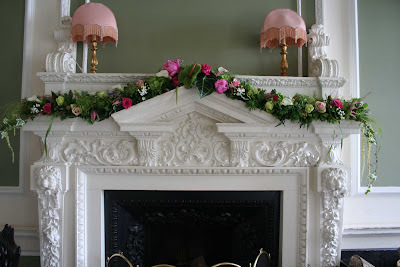 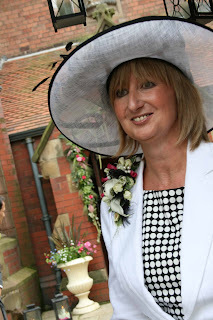 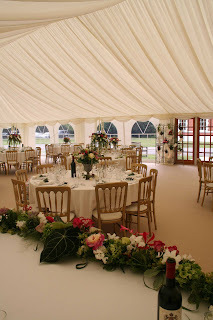 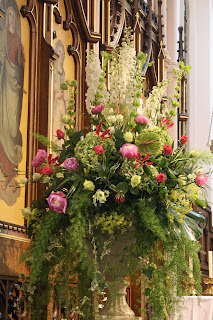 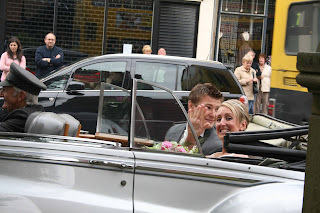 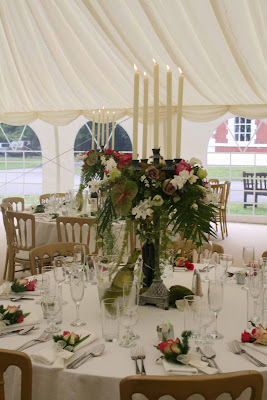 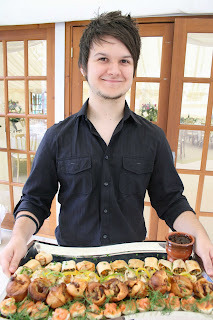 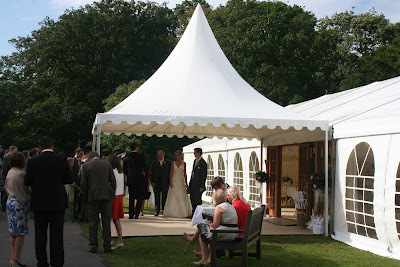 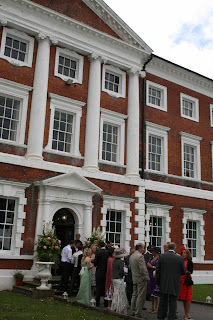 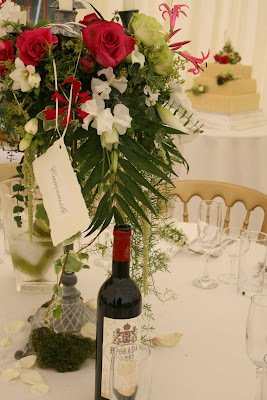 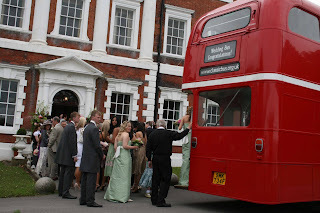 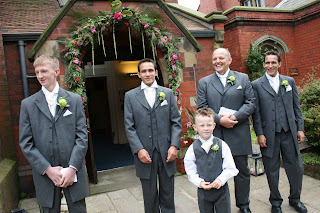 When we thought of this day we had images of freshness and elegance, a party feel to go with Lytham Club Day and a nostalgic English Garden Party meets Church Picnic sort of atmosphere, what with bunting, double decker buses, marquees and lots of lovely guests who could ask for more?. 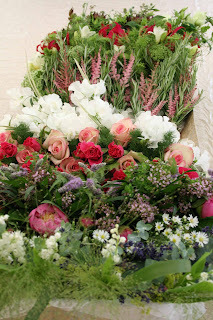 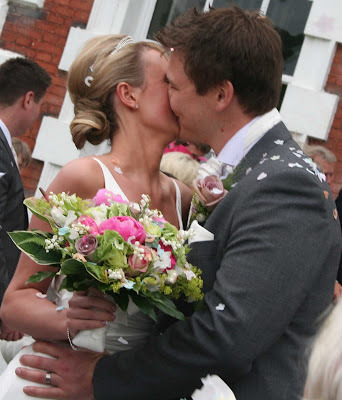 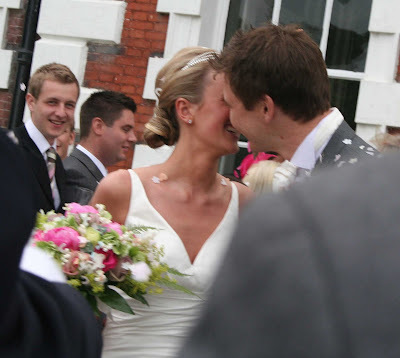 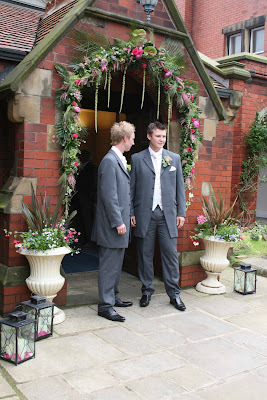 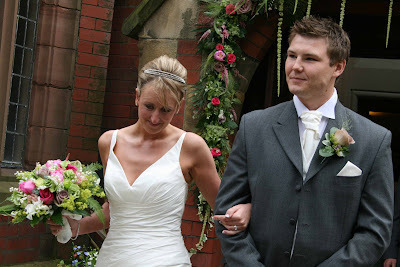 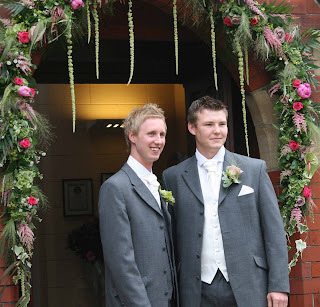 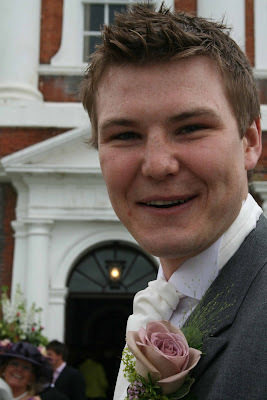 Matt is a very tall Rugby player type and a tiny rose bud buttonhole just wouldn't have done so instead he wore a fabulous Amnesia Rose with Alchemilla Mollis, Eucalyptus, Herbs and Panicum. 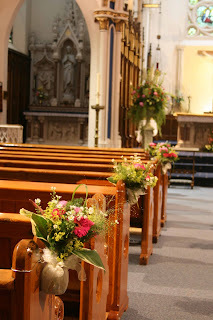 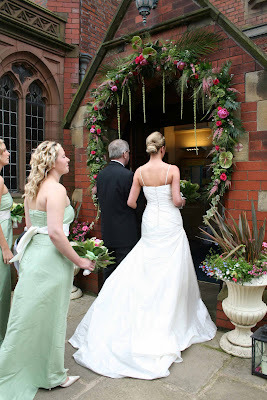 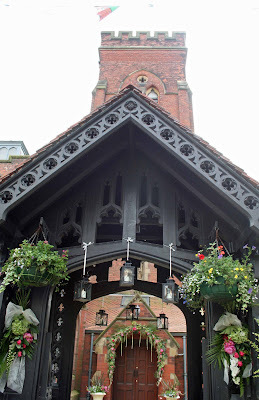 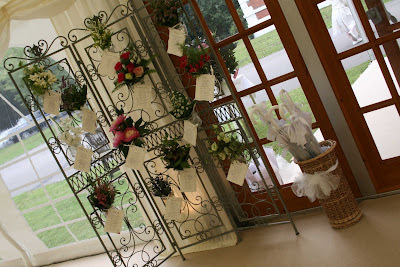 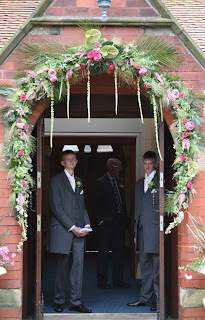 St Peter's was dressed with a floral arch over the door and lanterns on the pathway. 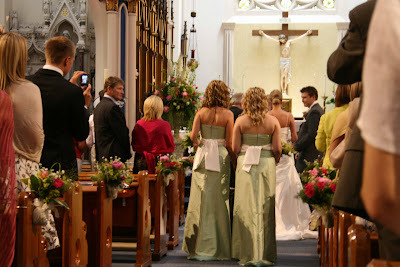 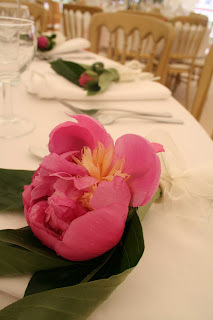 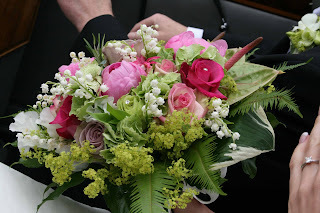 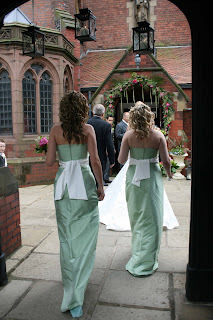 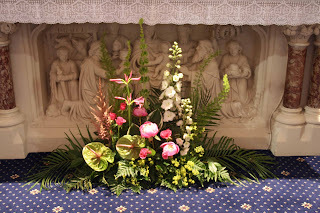 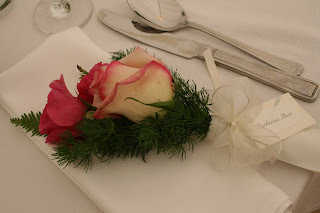 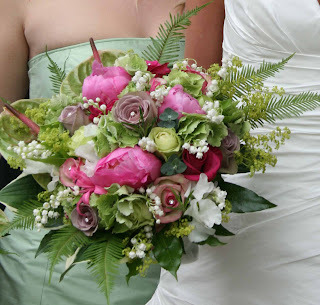 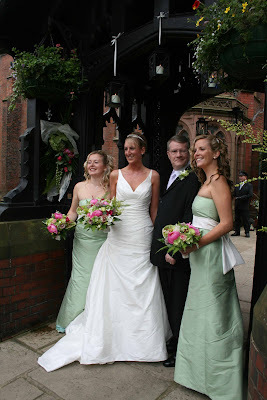 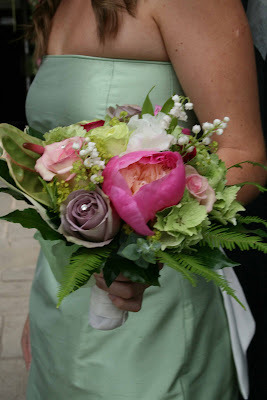 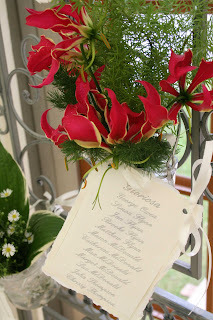 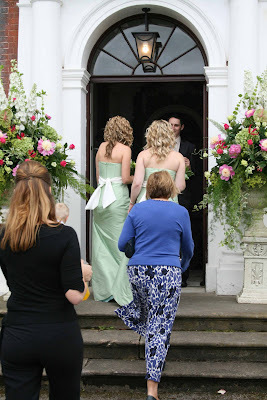 The Bridesmaids wore gowns in Pistachio silk and carried bouquets of pink Peonies, Cezanne Roses and Pistache Anthuriums. 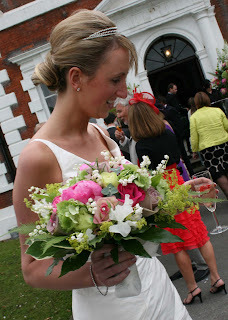 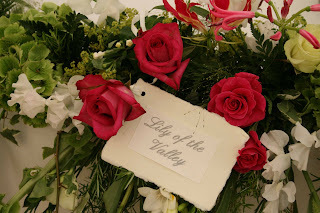 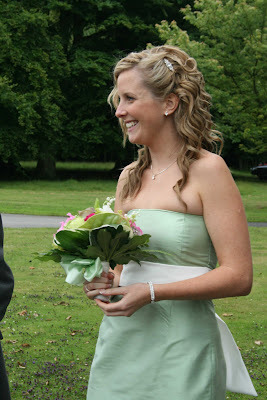 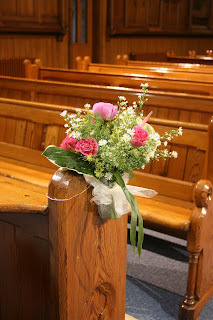 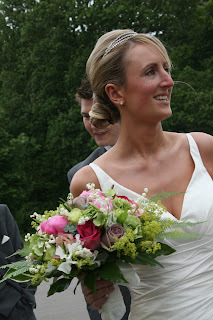 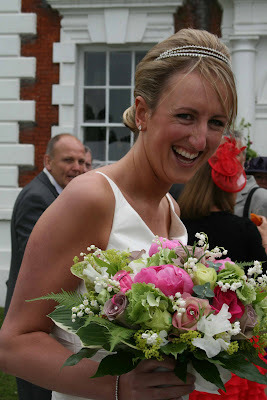 Lisa's Bouquet was created from Fresh Lily of the Valley, Peonies, Hydrangeas, Purple & Classic Cezanne Roses, Fresh Rosemary and Amnesia Roses. 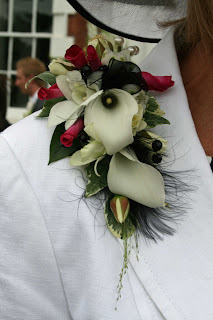 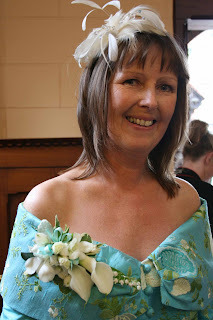 T he Brides Mum, who is extremely youthful wore a fabulous corsage of Crystal blush Callas, Dendrobium Orchids, Rolled Rose Petals, Black marabou feathers and beads. 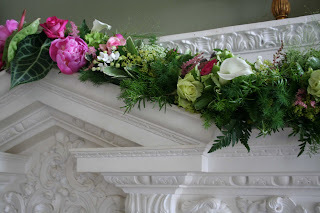 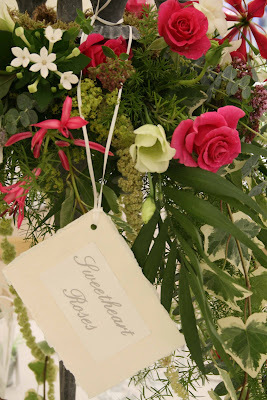 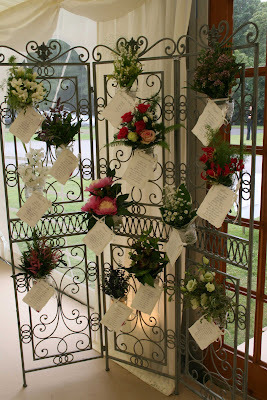 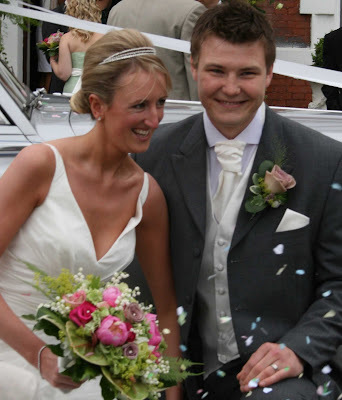 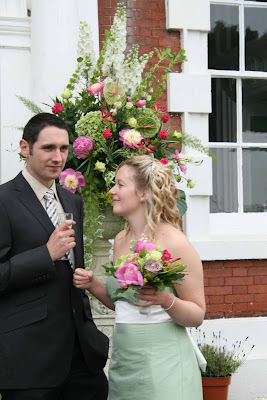 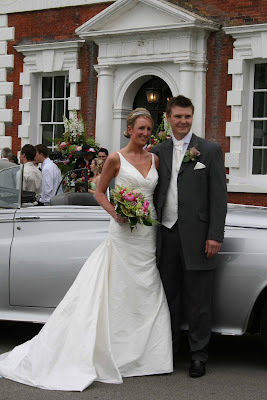 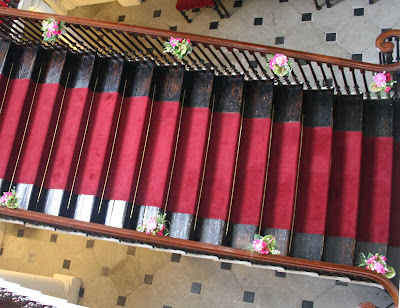 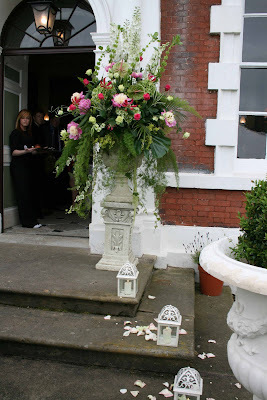 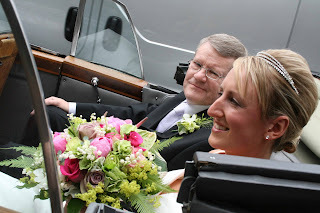 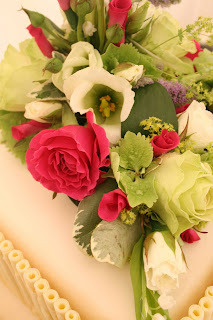 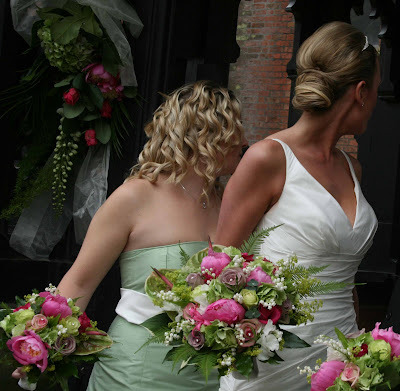 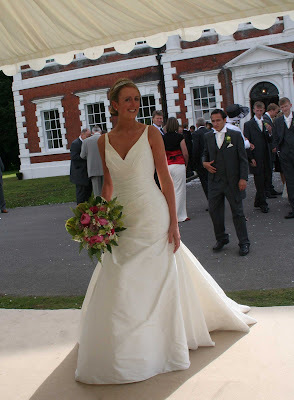 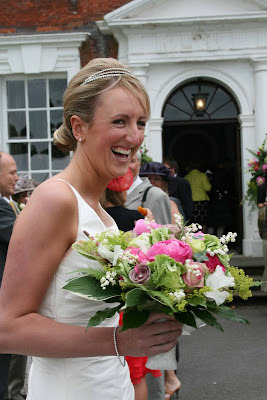 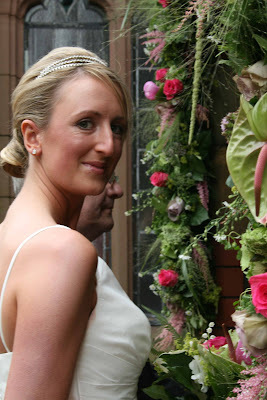 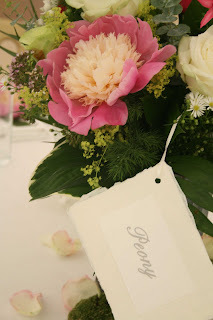 This was a superb wedding, we all thoroughly enjoyed our envolvement and we are extremely grateful to Lisa & Matthew for choosing Flower Design to create their bridal flowers. 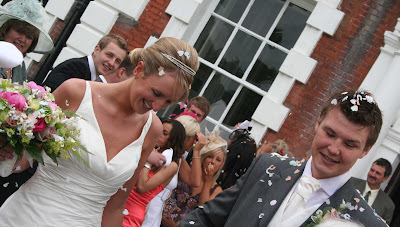 They are a fantastic couple with lots of lovely friends it really was a spectacular day! 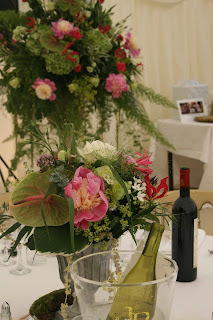 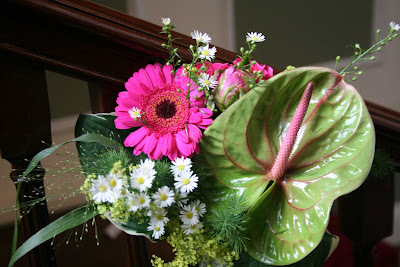 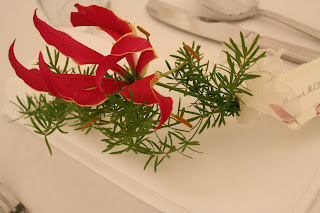 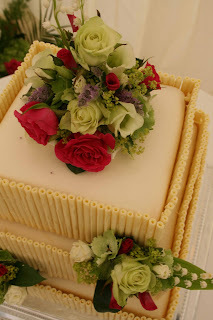 Flowers look amazing really are very talented.